Well, we still have an inkling for how Punisher will come back. But it’s time for the last days of Silver Surfer, Black Widow and, shock and horror, Ms Marvel. Four issue arcs for four titles… that threaten to end it all. “The Last Days” are not books that are being canceled. Ms Marvel and more will keep on truckin’. Secret Wars will be line wide so regular publishing will pause during it, some equivalent titles, some minis, some new. They didn’t want to brand every monthly book with “Secret Wars” as if they were all tie-ins. Some will pause, some will tie-in. They are being elusive because a lot will change in September, but for the event itself it’s line wide and that’s the focus. 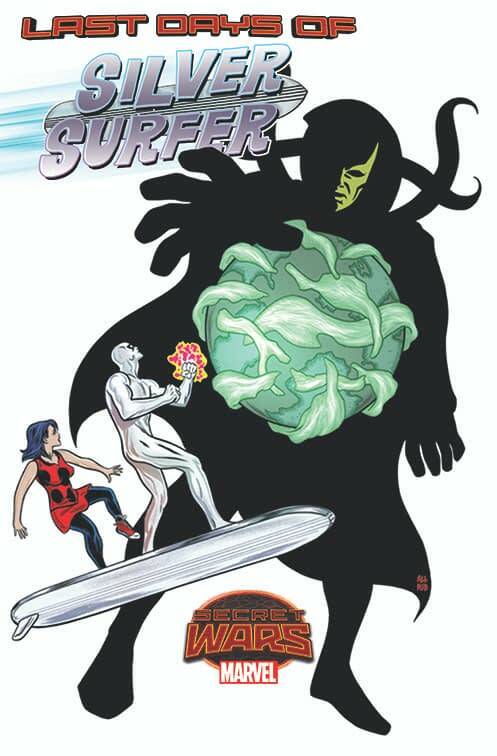 First, Dan Slott and Mike Allred bring you “The Death of Everything That Ever Was or Will Be” in SILVER SURFER #13. From the edge of Battleworld to the far reaches of the cosmos – every planet, moon and star has been extinguished. Except for the Surfer, Dawn and Toomie! How did they pull this off? And more importantly, can they figure out a way to bring everything back? 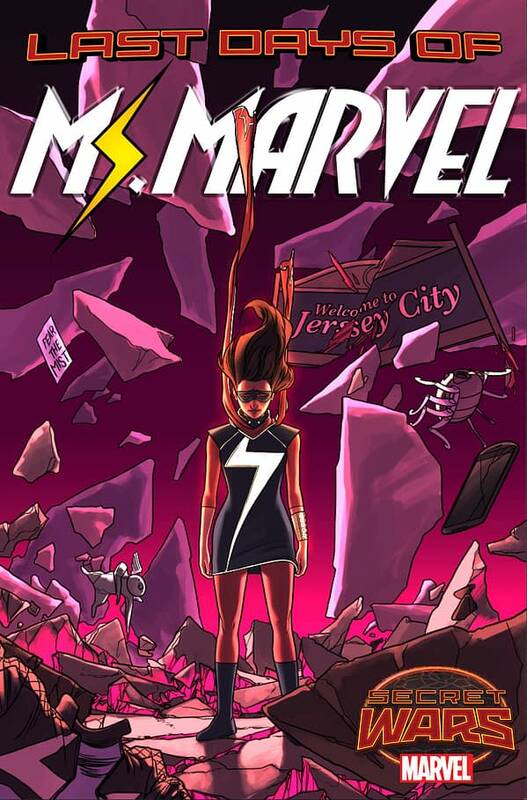 Then, the end of the world comes to Jersey City in MS. MARVEL #16 as G. Willow Wilson and Adrian Alphona bring Kamala Khan to the brink of destruction, as she learns the hard way what it takes to be a hero. But is it too late for her to save the world she has sworn to protect? When the end comes – will you fall into the darkness, or will you fight against the dying of the light? 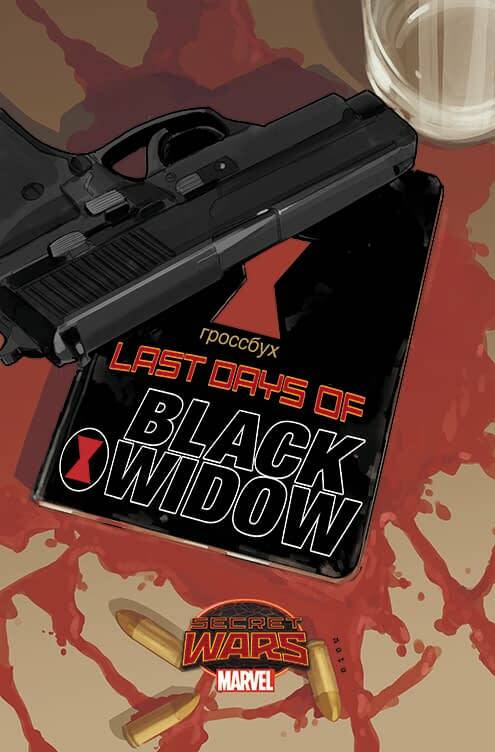 That is the question as Natasha Romanoff faces her LAST DAYS in BLACK WIDOW #19. Nathan Edmondson and Phil Noto take the most dangerous woman in the world to the very end of all things, as she finds herself unexpectedly connected to one of the darkest moments of her past. Finally, when you live every day like it’s your last, what will you do when it finally comes? The end of the Marvel Universe won’t stop Frank Castle from doling out retribution in THE PUNISHER #19. 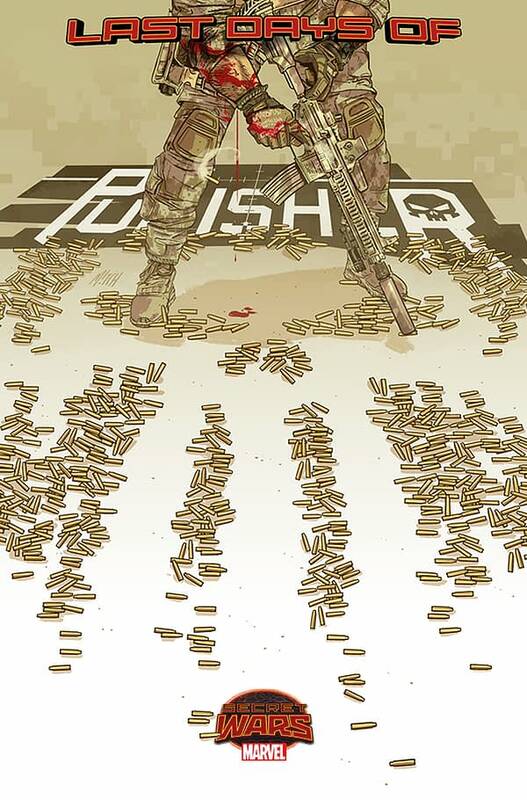 Nathan Edmondson and Mitch Gerads take Frank Castle back into the fray for one last war. One of the Punisher’s allies falls. Someone picked the wrong fight. Before Secret Wars can begin, the Marvel Universe must end. And it’s happening this June as the LAST DAYS story arcs begin in Silver Surfer #13, Ms. Marvel #16, Black Widow #19and The Punisher #19!